While attending a workshop in France, I met a group of extraordinary photographers from around the world. We have continued working together since then, under the name Fireball Photographers. We collaborate remotely, and meet for some projects, as we did in Barcelona and London. 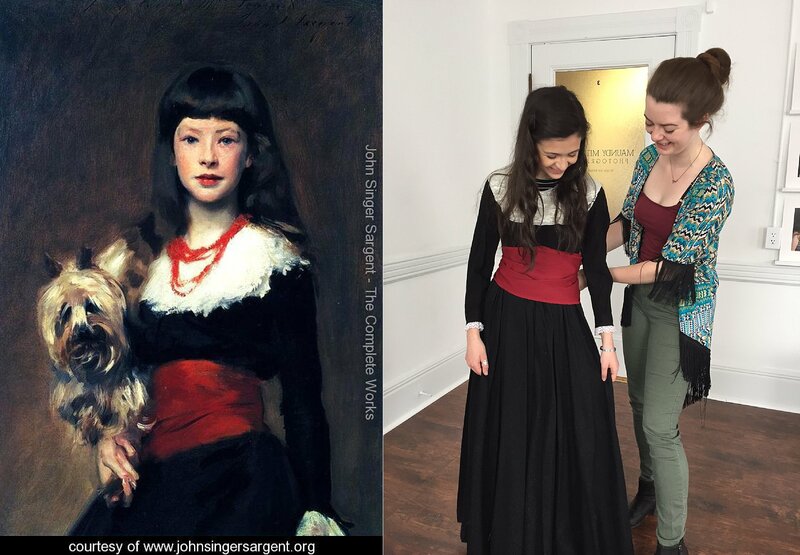 We recently completed work on a project that pays homage to 19th century portrait painter John Singer Sargent. Working independently, we each chose one of Sargent’s 900+ paintings and used it for inspiration to create between one and three photographic portraits. 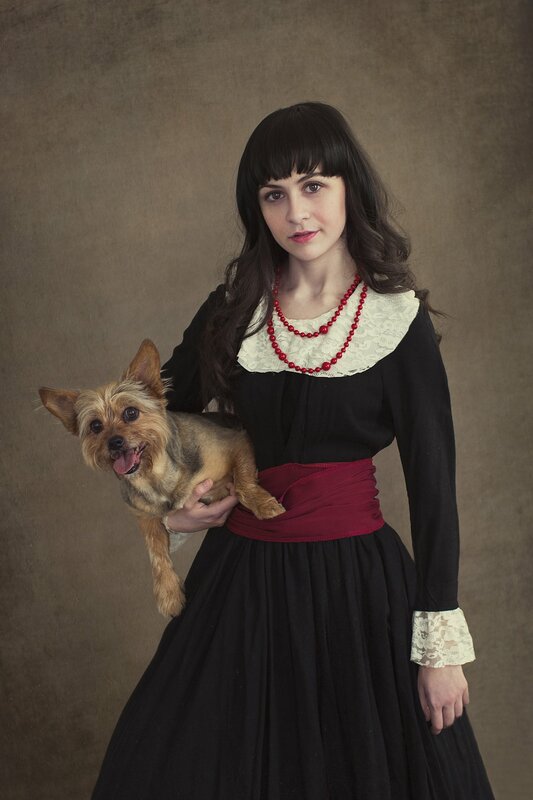 Partly because I love dogs, I chose Sargent’s portrait of Miss Beatrice Townsend as my inspiration. 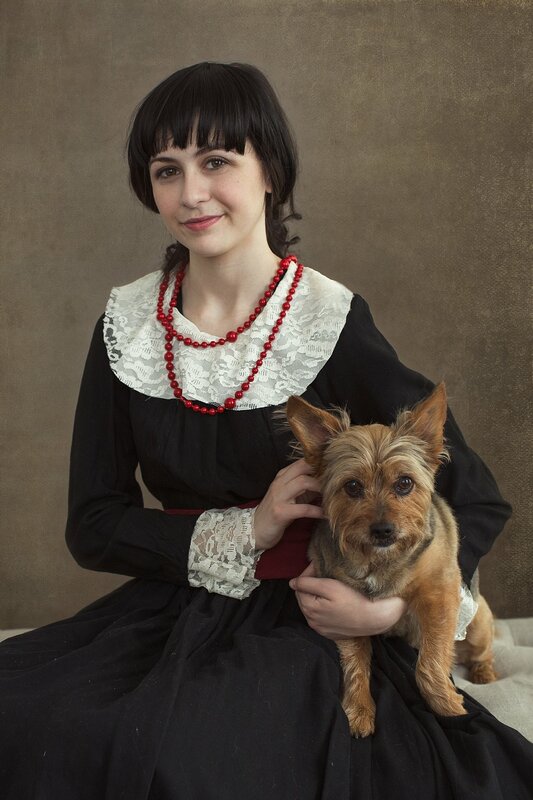 Then I set out to find a girl who looked a bit like Miss Beatrice, and then a dog. Anna is a talented young actress who I thought was perfect! 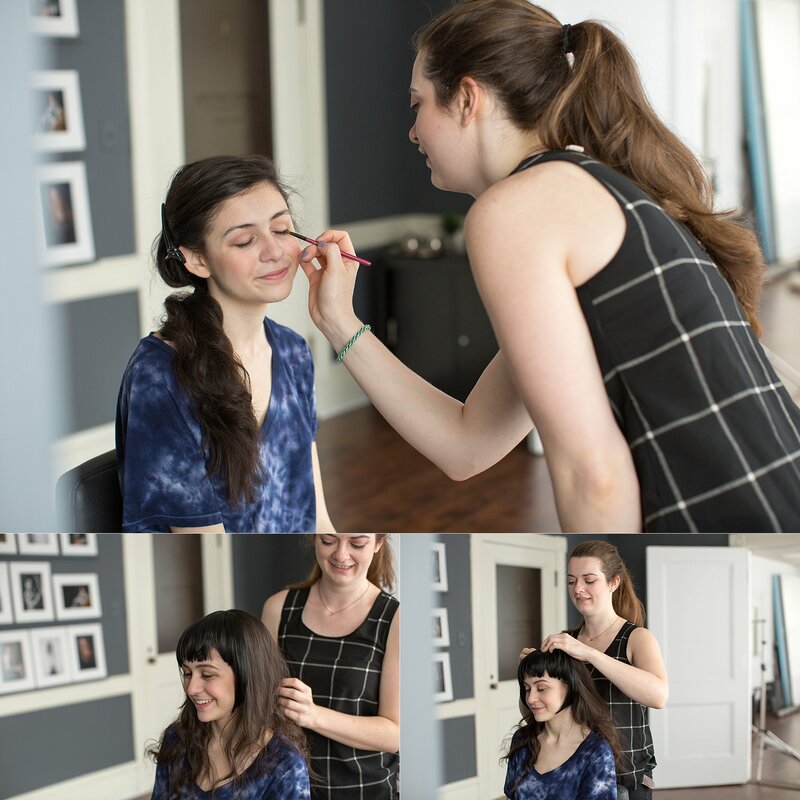 She came to the studio first to discuss the project, and for a costume fitting. I met the dog, Scout, one day when he came to work with his owner. He’s a gentle, love of a dog, and I got lots of dog hugs. When Scout was cast for this role, he completely looked the part. He got a little extra grooming right before the shoot, but he is such a great little guy we didn’t mind at all.